It may seem like a faux pas to discuss value for money when contemplating the ideal anniversary gift for your partner, and of course, it's true that you can never put a price on true love. However, although you cannot define the depth of your emotions, or the extent to which you appreciate your partner in monetary terms, it remains a bonus to achieve maximum benefit from any purchase. There is no point in spending a huge amount of money on an anniversary gift if you can buy an identical product at a significantly lower cost elsewhere. 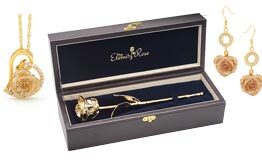 While an expensive piece of jewellery can easily be forgotten at the back of a drawer, and flowers will simply wither and die over time, an Eternity Rose is the ideal gift to highlight your adoration, and is guaranteed to touch her heart. This perfect present is the best-value anniversary gift in which you will ever invest, and will create romantic anniversary memories to last a lifetime. 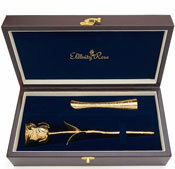 Every woman appreciates flowers, and gold never goes amiss when it comes to choosing an anniversary gift. However, if you can find the perfect blend of both, you will have in your hands a truly remarkable present that your wife cannot help but appreciate. A single fresh rose may be pretty, but she may wonder why you didn't buy a whole bouquet. However, a single gold, silver or platinum-dipped Eternity Rose, or a natural coloured glazed Eternity Rose will render her speechless. Each Eternity Rose is grown in a glasshouse environment until it reaches the height of its perfection. It is then plucked and preserved, and coated in 24 karat gold, silver or platinum, or alternatively covered in a delicate clear polymer glaze and then trimmed with gold edging to maintain the external and classic appearance. 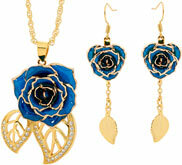 Intricate and ornate, this gift exudes brilliance while encapsulating the beauty of nature. 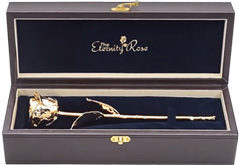 Available at a shockingly reasonable and affordable price, you are still guaranteed that each and every Eternity Rose is unique and priceless in its beauty. 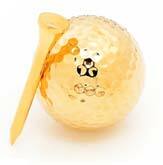 Crafted by the most skilled artisans, this is the most personal of gifts to reach out and touch her heart. Representing her own unique nature, the Eternity Rose is an extraordinary and astonishing anniversary present that is more effective than a thousand words of love at conveying your most heartfelt feelings. While even the most extravagant of jewellery or antiques can tarnish or be forgotten as the years go by, each Eternity Rose will be eternally treasured, finding its way to your display cabinet, mantelpiece or shelf to stand as a testament to your love for the rest of your lives together. 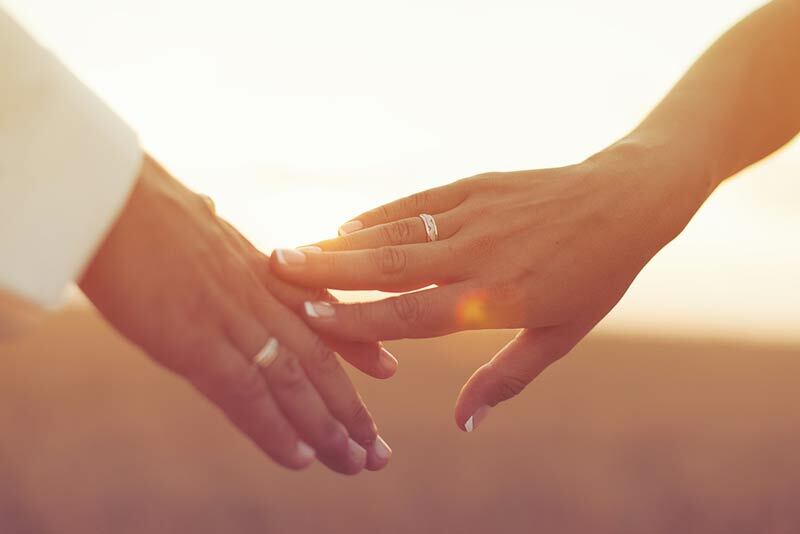 As the years go by in your marriage, you follow the learning curve of love. You're bound to make a few mistakes on the way, make the wrong choices or select an inappropriate gift or two. It takes time to realise that men and women have different tastes when it comes to selecting anniversary gifts and the worst gaffe of all is to choose a present that has a purely functional purpose. Whatever you do, avoid buying that domestic appliance that you're sure she's been waiting for. She may have spoken many times about her desire for a new iron or vacuum cleaner, but she doesn't want to receive it as a special anniversary token. Another mistake to avoid is rushing into purchasing an extravagant but meaningless gift without any thought as to its relevance or significance in her life. This year is the time to seize the opportunity to purchase a truly meaningful gift for your partner and select a token that speaks volumes about your affection and loving sentiments. Yes, your wife longs to be shown how much she matters to you and how much you appreciate her. However, she needs to know that she is valued not just for what she gives you today, but for everything she will be for you tomorrow and for every year of your future together. A present that is simply a mass-produced sentiment or a short-lived yet expensive offering is wasteful and poor value. Each Eternity Rose is as unique and individual as your wife is herself, and is the ideal way to show her that she is truly irreplaceable and special in your life. The Eternity Rose embodies the eternal spirit of your love and life together and reflects the passion and longevity of your marriage. Each anniversary gift represents an investment, not in financial terms, but in your future, and in the health of your relationship. This present gives plenty of returns in strengthening your unique marital bond and rekindling your romance. Every time your wife sees this gorgeous gift, she will be reminded of how much you love her and will have an eternal memento of this special and magical anniversary.